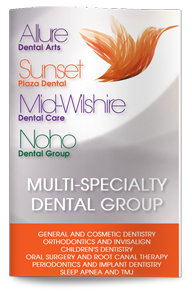 Traditionally, when teeth are lost, patients can choose between dental bridges or dentures. Bridges or partial dentures are typically used when some teeth remain, while full dentures are used when there are no remaining teeth. Today, dental implants offer patients another option. Implants are tooth-like structures that are supported by the jaw. 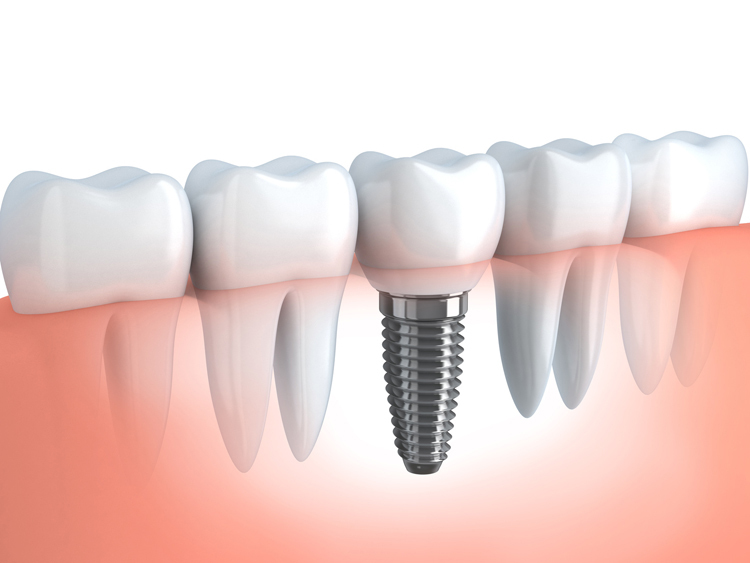 An implant consists of the root form, which is the implant itself, and the prosthetic tooth. Implants can also be used in a series to support bridges or dentures. They are strong and stable because they are fused with the jawbone. If you are missing all of your teeth, implant-supported dentures or bridges can be an excellent way to replace them. The implants are placed during an outpatient surgical procedure. The number of implants you will need will depend on the type of restoration you choose, the quality and quantity of your jawbone, and other factors. Once your implants have been placed, the jawbone heals around them. They become sturdy like natural tooth roots, and will be restored with custom-made replacement teeth. When your prosthetic teeth have been attached, you can use them just like your own teeth to eat your favorite foods again. You can even brush and floss like normal. With good care, you can expect your implants to last as long as natural teeth. You will still need to visit us periodically to ensure your natural tissues remain healthy so that they support your full-mouth implants properly. Call our office today to find out more about how implants can replace your teeth.